Pakistani cricket team played the test matches series and T20 international matches series against Australia in which Pakistan won the test and T20i series. Pakistan v Australia played three T20i matches in UAE and Pakistani cricket team has done the white wash of the series. Various Pakistani players performed well and they completed their fifties. Babar Azam and Fakhar Zaman completed their fifties but unfortunately, they could not completed their centuries in the test matches. 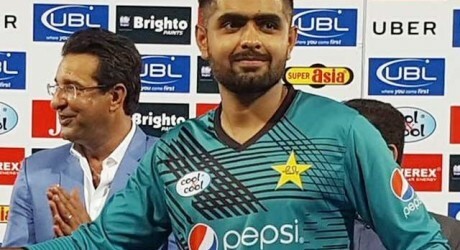 International Cricket Council (ICC) has issued the new rankings of the international players in the T20i cricket and Babar Azam reached to the top position as he completed two fifties and showed brilliant performance in the T20 cricket. Aeron Finch was on the top position previously and now he trailed back to the second position as Babar Azam snatched the first position from him. 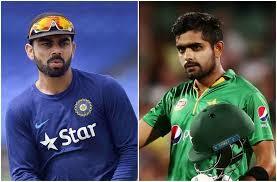 There are other players after these two batsmen, who are present from three to the tenth position and they are Lokesh Rahul, Colin Munroe, Fakhar Zaman, Martin Guptill, Glenn Maxwell, Alex Hales, Jason Roy and Rohit Sharma respectively. There is no other Pakistan player in the list of top twenty positions except Fakhar Zaman and Babar Azam. In the ICC bowler rankings, Rashid Khan of Afghanistan is at the number one position in the list of bowlers and Shadab Khan is following him at the second position. Then other bowlers of the world including Ish Sodhi, Yuzvendra Chahal, Adil Rashid, Mitchell Santner, Samuel Badree, Imran Tahir, Billy Stanlake and Imad Wasim are present from three to the tenth position in the ICC top ten bowlers positions.